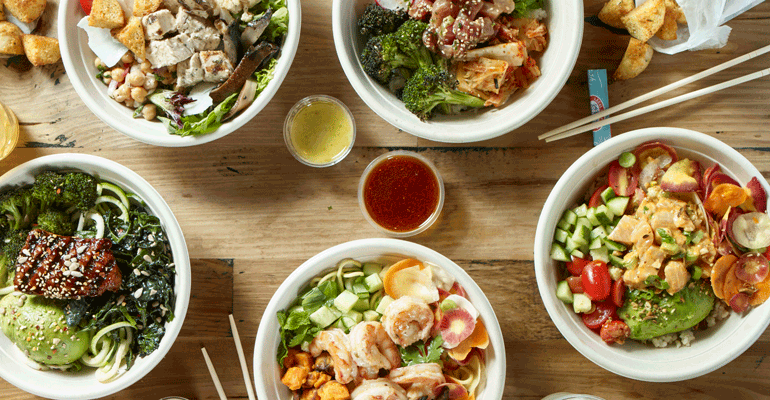 Boston-based casual-dining seafood chain Legal Sea Foods is dipping its toe further into the water of the poke bowl trend as it expands its fast-casual concept, opening a second unit in Boston’s Faneuil Hall Marketplace this spring. The first Legal Fish Bowl opened in Kendall Square in Cambridge, Mass., in April 2017. 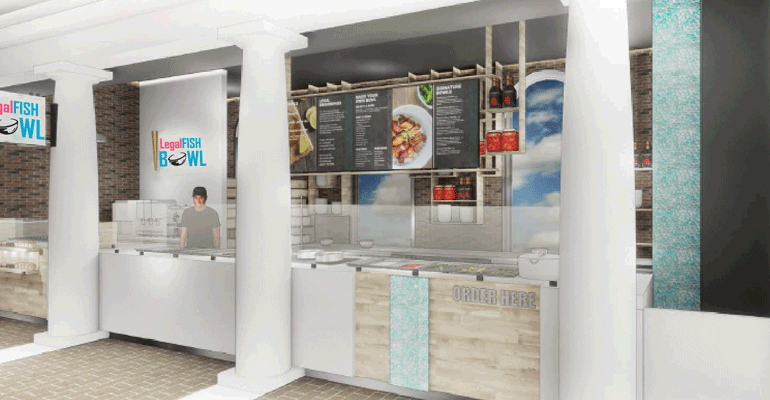 The new location will be in an 850-square-foot space in the Quincy Market Building and, like its predecessor, will feature six signature bowls, customizable bowls and a “liquid bowl,” which is Legal’s signature clam chowder. Guests pick a base of brown rice, jasmine rice, mixed field greens, zucchini “noodles” or lo mein noodles. Then they can top it with hoisin glazed salmon, marinated organic shrimp, tuna poke, salmon poke, spicy tuna, soy-ginger chicken or kung pao tofu. The seafood proteins are $5 and the others are $3. Customers can also get the bowls without protein for $7.95. For that price they get up to three toppings, such as roasted cauliflower and shallots, grilled lemon kale, seaweed salad, edamame, rainbow carrots or shaved Romano cheese. Additionally they have a choice of one crunchy toppings: spiced seeds and nuts, wasabi peas, sunflower seeds, nori furikake or sesame seeds. Finally they have a choice of dressing: sesame ginger, cider Dijon, orange chipotle, olive oil and vinegar, tahini, or poke sauce. The signature bowls are $13.95 except for the Chicky Chicky Bang Bang, which is $11.95 and features soy-ginger chicken over jasmine rice with grilled lemon kale, spicy roasted sweet potatoes, charred broccoli, sunflower seeds and orange-chipotle dressing. Legal Fish Bowl also offers three house-made drinks for $2.50 each: lemonade; organic green tea with mint, basil and elderflower syrup; and Haymaker’s Punch with raw honey, apple cider vinegar and ginger. There are currently 34 Legal Sea Foods locations.